Our work here has taken us to Nyamira to scout out a venue for the next Bible School in a Briefcase and collect applications from pastors. The area is beautiful and the air is cool and fresh. We toured three venues around the village. One is in a corn field next to the main highway. Another is high on the mountain top and the third is near town. We are looking for a church that is centrally located in the town with plenty of room, with good lighting and place for the kitchen. Please pray that we can find a good location soon. A member of the Kenyan Board of BLM, Pastor Paul Sitati, went with us. Pastor Paul has been praying for many years that the Bible School in a Briefcase would come to Nyamira. He collected the applications and made sure the applications were complete. He pastors a church in Nairobi but his heart was that the pastors in Nyamira would have the opportunity to attend Bible School. This is the type of people we are privileged to work with! 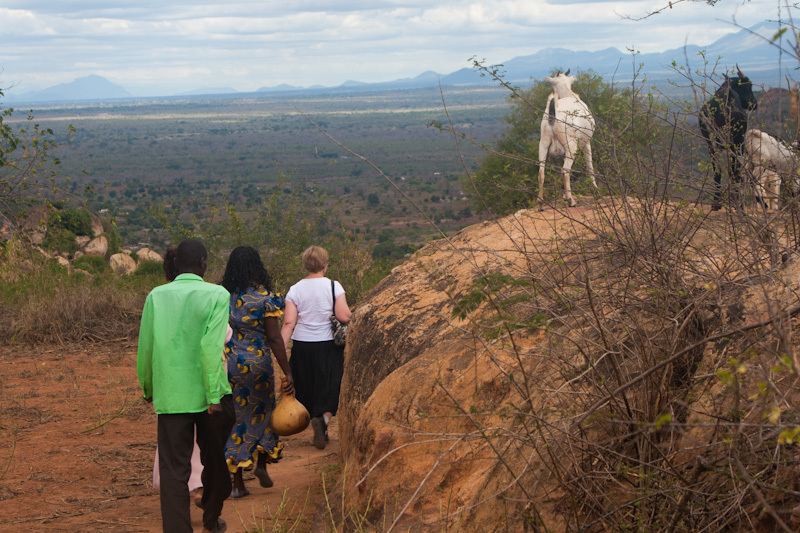 Our next trip is this weekend (June 25-26) to Kitui. 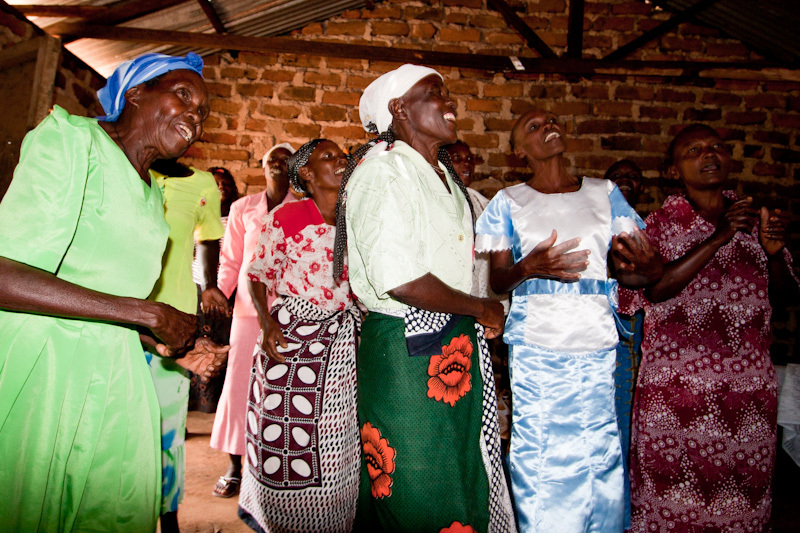 We will meet with Pastor Ambrose Muluvo Wingi to prepare for a discipleship training class. 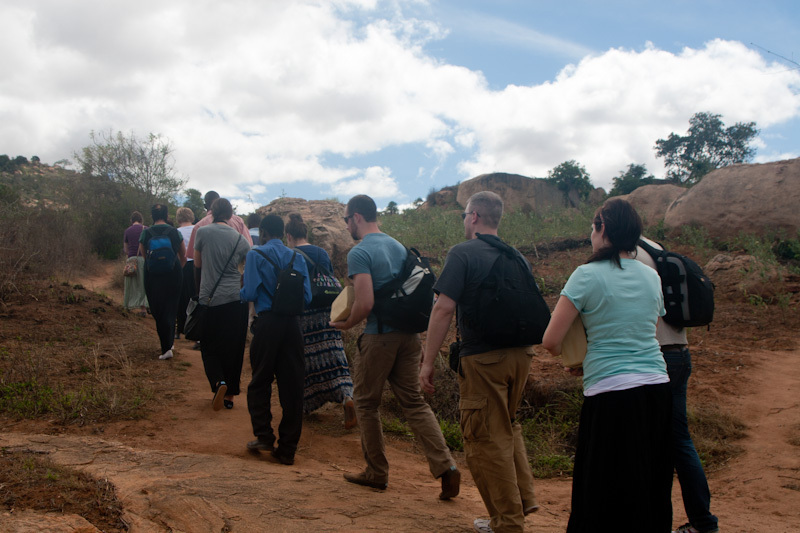 After we hold the training we will return to Kitui and show The Jesus Film in July. We realize the importance of having people trained to lead the new believers in discipleship BEFORE we show the movie. Discipleship training is vital to new believers becoming active and growing believers. The church we attend, New Song, encourages members to also meet outside of church and so we have opened our home for Bible study and fellowship. We have met twice with between 10-12 each time. Mary, one of the neighbors, told me last time how happy she was that we were here teaching Bible! That means so much to us! Don is teaching on discipleship and doing a great job. We want to thank everyone who continues to pray for our work here and give so we can go out into the villages to train and encourage the pastors in their home churches. We are able to do our work because God has prompted others to give. White Goat Mountain Has Bibles!!! May 19th was a great day near Kibwezi, Kenya! We met the Christ for the Nations International (CFNI) team in the early morning and then drove as far as possible on an unbelievably steep rocky path. When we could drive no further the team carried the Bibles, and we hiked for over an hour to reach the village church. When we arrived the church members warmly greeted us. We shared a time of praise and worship and members of the CFNI team ministered. 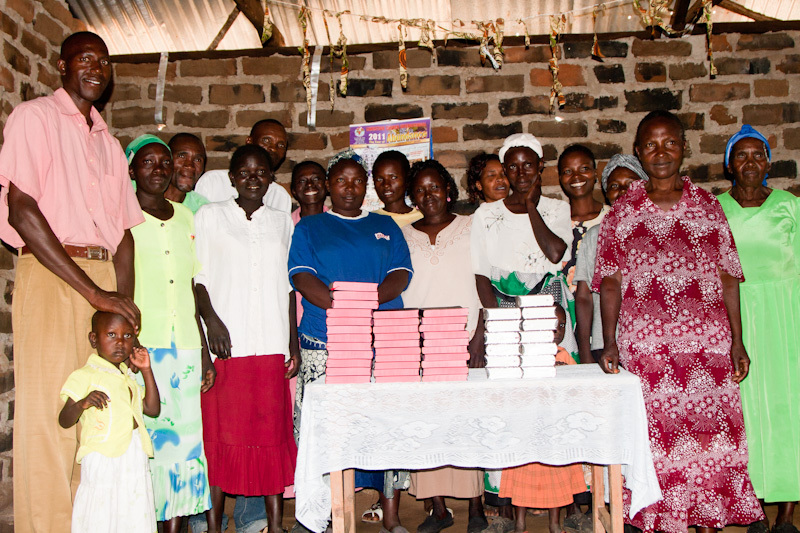 The villagers thanked us for coming to their church and for bringing Bibles!! After the time of ministry and prayer we presented the 40 Bibles to Pastor “Goliath”! He was so happy and the people of the church were grateful. They fed us lunch and then it was time for us to go. 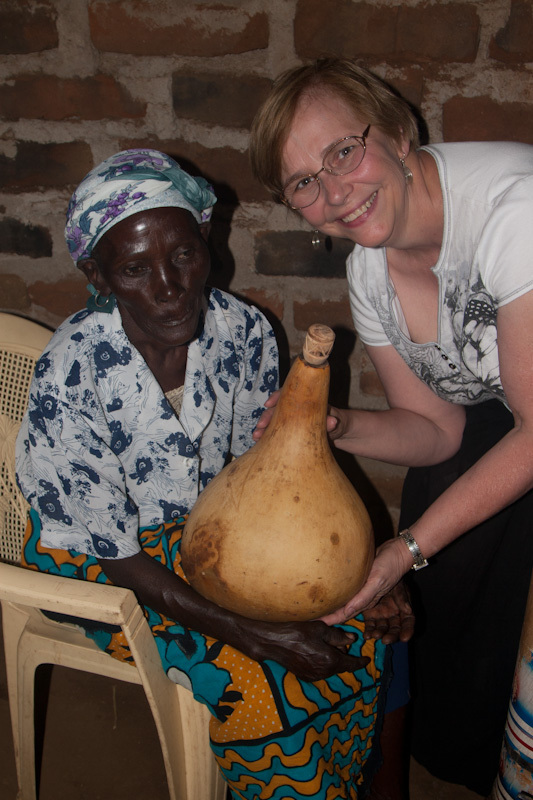 Just before we left, the pastor’s mother-in-law presented me (Becky) with a gourd she had made for our visit. I was so honored. The people of White Goat Mountain have so very little and yet they gave to us! We caught this “white goat” watching us leave. We had been able to bless this remote village with the Word of God because of those who gave! We thank you and the church members on White Goat Mountain thank you as well! Long after we are gone, the Word of God will remain on the mountain to strengthen the people in their faith. We have much more to share about our time with the CFNI team. Thank you for your continued prayers and support of our work here. We could not do what we do without the prayers and support of our partners! We thank you!